As part of our social development initiative for this quarter, we paid a visit to the SARFAT Mission’s Kids Club. 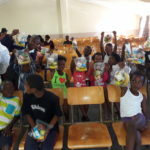 The Kids Club aims to support children affected by HIV/Aids and many other social ills. This project helps develop them holistically by teaching them life skills and Bible-based principles. 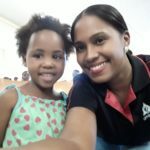 They have a youth leader from one of their partnering churches who present a weekly fun, Bible-based program every Friday. Through this project, they give hope to children who mainly are orphans, stigmatized and without support. Kids Club offers a place for these children where they can focus on being a child and escape from their worries and fears. After hearing about this Kids Club, we knew we had to do something special for them. 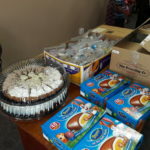 We enlisted the help of the Bellville Market & Boston Pick n Pay. 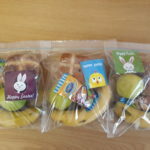 Together, we were able to put together Easter Hampers for the children, consisting of fruit, Easter eggs & hot cross buns. 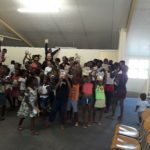 We spent the afternoon with the children – singing, dancing and being completely engulfed in the merriment of the day. 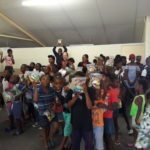 Our efforts were well received and the joy that beamed from each of those tiny faces at the sight of the little hampers that we had brought just for them, was so worth the effort! 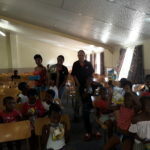 We wish to thank Ina & Clemont from SARFAT, as well as the Kids Club Coordinator, Nandipha & her helper Bongi for allowing us to share the day with them. The great work you do with these kids does not go unnoticed.